The ninth stop on the 2015 Northern Home & Cottage Home Tour is in Traverse City in the Depot Neighborhood at Railroad Place. 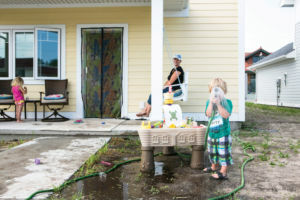 Consider this: In March, when the rest of us were still shuddering under substantial energy bills as the bitter Northern Michigan winter dragged on, the Lardies, one of the first families to move into Traverse City’s new Depot Neighborhood, paid just $2.50. Yep, that decimal is in the right place: Two dollars and fifty cents for heat and utilities for a family of six. And after this summer, the family’s first in the home, the Lardies will probably never have another energy bill. That’s because the energy made from solar panels on the top of their super-insulated home will generate enough kilowatts to the grid to more than credit the Lardies for what they’ll use next winter. It’s called a NetZero home and tourgoers will have the opportunity to walk through one of the units under construction with builder Max Strickland. 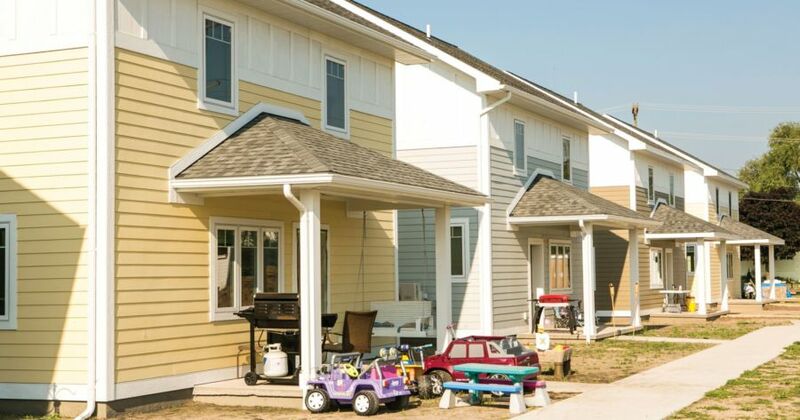 While these aren’t the first NetZero homes ever constructed, they are some of the very first in a planned affordable housing community such as Depot Neighborhood—a project built in collaboration with Habitat for Humanity Grand Traverse and HomeStretch Non-profit Housing Corporation. Come and find out what makes these homes of the future so energy efficient (hint: it isn’t rocket science). Find more Northern Michigan Homes here. Northern Michigan Wineries, Breweries, Traverse City restaurants, things to do around Traverse City and more! Our MyNorth Vacation Guide can help you plan your entire Northern Home & Cottage Home Tour Weekend!